Here they are: the adorable Christmas Elf Dolls that visit children in December and enrich lives with a fun filled family tradition. They arrive from Santa’s workshop excited to become a part of your family! 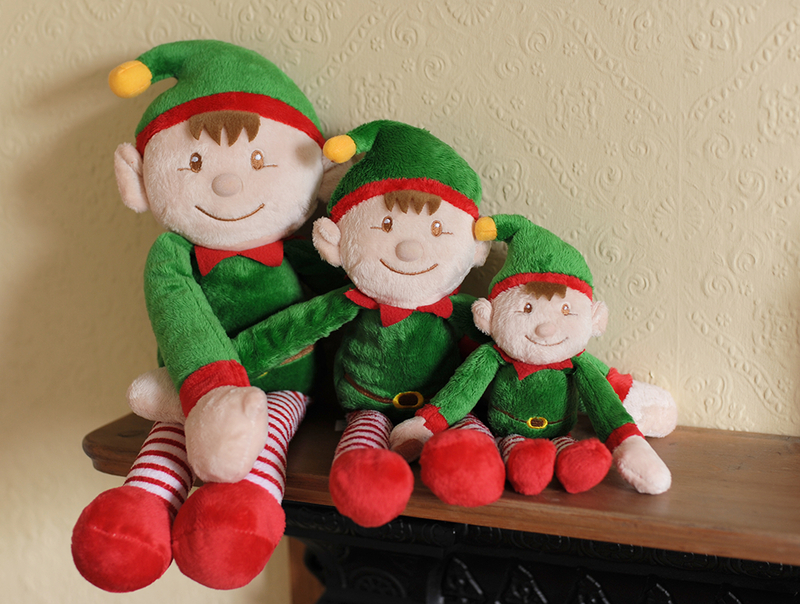 With their night time adventures and friendship, these magic Elves will help create memories the whole family will cherish. 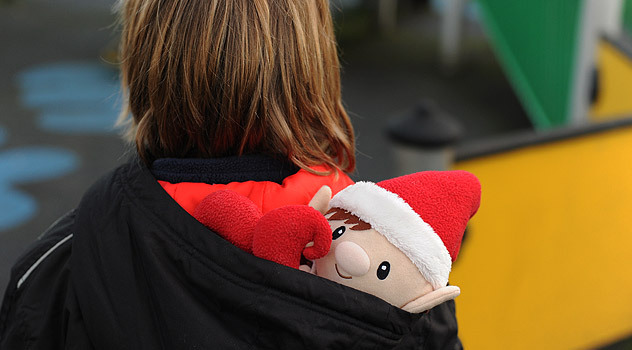 Just imagine their amazement if one or more elves magically arrived before Christmas – getting into all sorts of mischief at night, hiding in coat pockets or leaving small surprises for children. 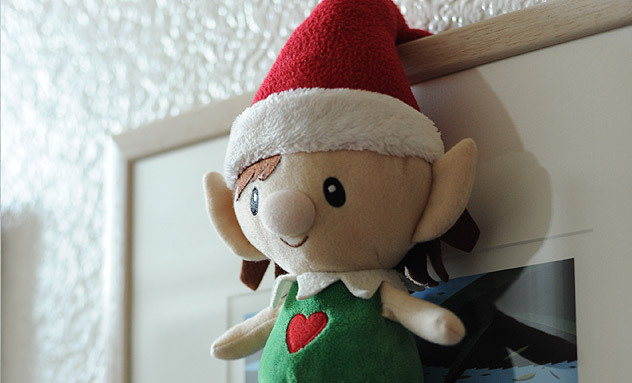 This fun filled Christmas tradition is sure to delight young children as they awake every morning and discover what their elf has been up to! Have more fun this Christmas, enlist the help of one (or more) of Santa’s Elves. 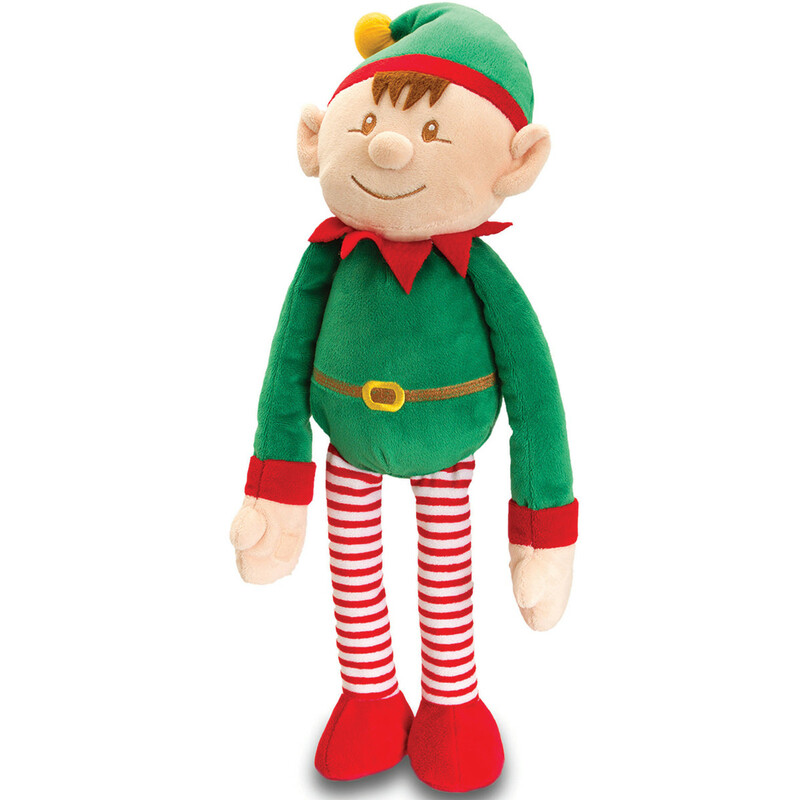 Buy your Christmas Elf dolls online. 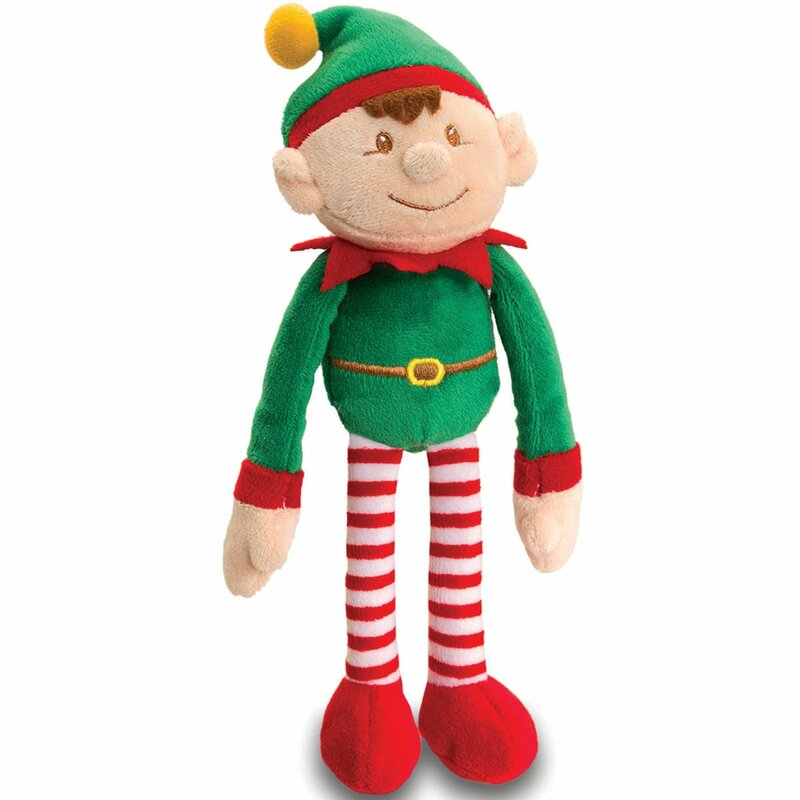 Our cute cuddly elves are made of soft velour and fleecy fabrics. Made by Keel Toys to high quality standards, they have a round nose, stitched facial and pointed ears. They wear red and white stripy leggings and wear a green top and matching Christmas hat. They have a little bell inside that jingles when you move them. They also have velcro on their hands – which comes in useful to hang about and dangle from unusual places. The dolls are hand washable and suitable for ages one and up. 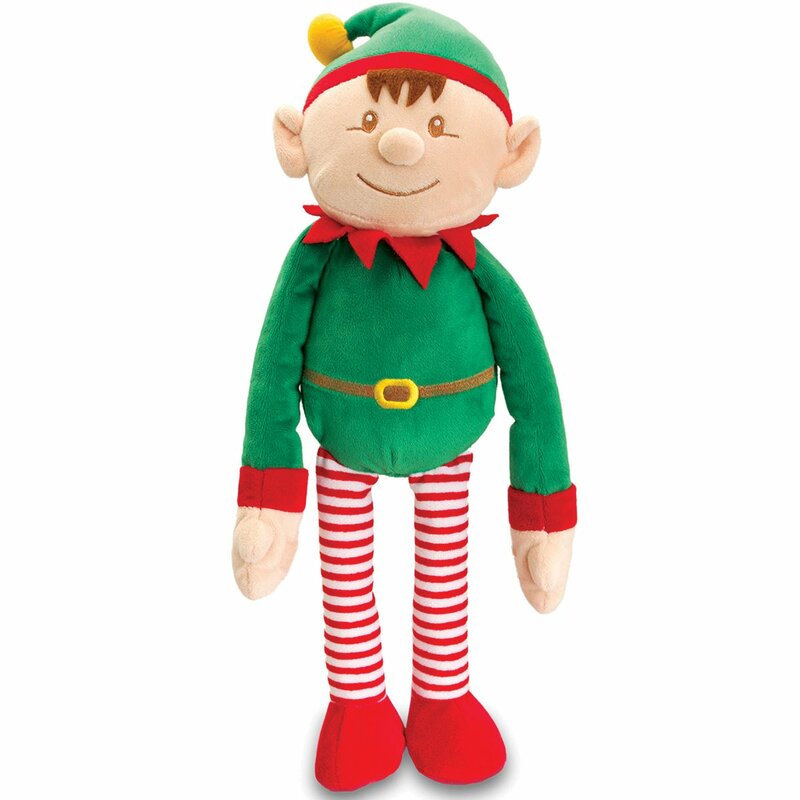 When you buy your Christmas elves, please note the dimensions below are from the top of the head to the elf’s bottom – legs not included!